Veteran striker Sunil's participation in the mega event was always in doubt ever since he picked up a knee injury during the national camp in the lead up to the Asian Champions Trophy held in Muscat last month. Rupinder Pal has been ignored again after being dropped from the continental event last month. Sunil too did not play in the tournament in which India were declared joint winners with Pakistan after rain played spoilsport on the final day. The Indian team, which will play their against South Africa on the opening day, features PR Sreejesh and Krishan Bahadur Pathak as goalkeepers. Manpreet's deputy will be Chinglensana Singh Kangujam, Hockey India said in a statement. Odisha's experienced defender Birendra Lakra, who makes a comeback into the team after missing out in Muscat due to rehabilitation, Amit Rohidas, Surender Kumar, Kothajit Singh, 2016 Junior World Cup winners Harmanpreet Singh and Varun Kumar will form India's defence with three of them being drag-flick specialists. 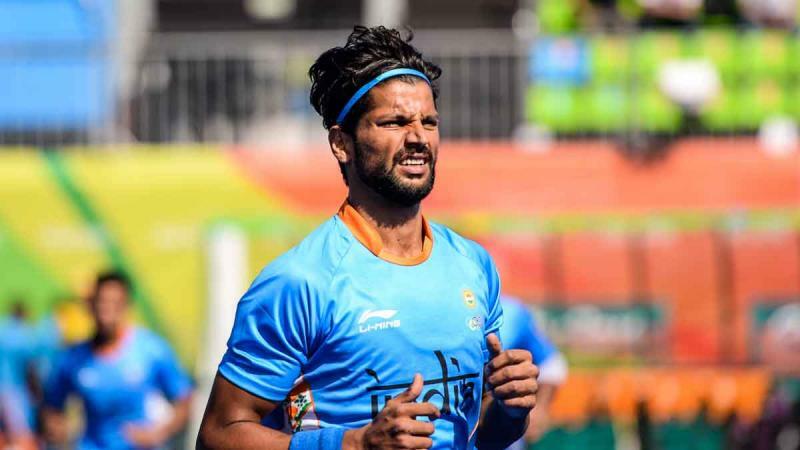 The forward line has the experienced Akashdeep Singh, Dilpreet Singh, Lalit Upadhyay and Junior World Cup winners Mandeep Singh, Simranjeet Singh. India, grouped in Pool C along with World No.3 Belgium, Canada and South Africa, will need to finish on top of the pool to secure a place in the quarterfinals. "We have chosen the best available combinations for the World Cup. We had to make some tough decisions to select 18 out of a very strong pool of 34 players," asserted Chief Coach Harendra Singh. "The final 18 are a mix of experienced and youth and have been selected on the basis of their current form and fitness. "These players have consistently shown their potential in the lead up to the showpiece event and I am confident India will put up a fighting performance," he added. The core group of 34 will continue to train in Bhubaneswar till November 23 before it plays its World Cup opener. Goalkeepers: PR Sreejesh, Krishan Bahadur Pathak Squad: Defenders: Harmanpreet Singh, Birendra Lakra, Varun Kumar, Kothajit Singh Khadangbam, Surender Kumar, Amit Rohidas Midfielders: Manpreet Singh (Captain), Chinglensana Singh Kangujam (Vice Captain), Nilakanta Sharma, Hardik Singh, Sumit Forwards: Akashdeep Singh, Mandeep Singh, Dilpreet Singh, Lalit Kumar Upadhyay, Simranjeet Singh.